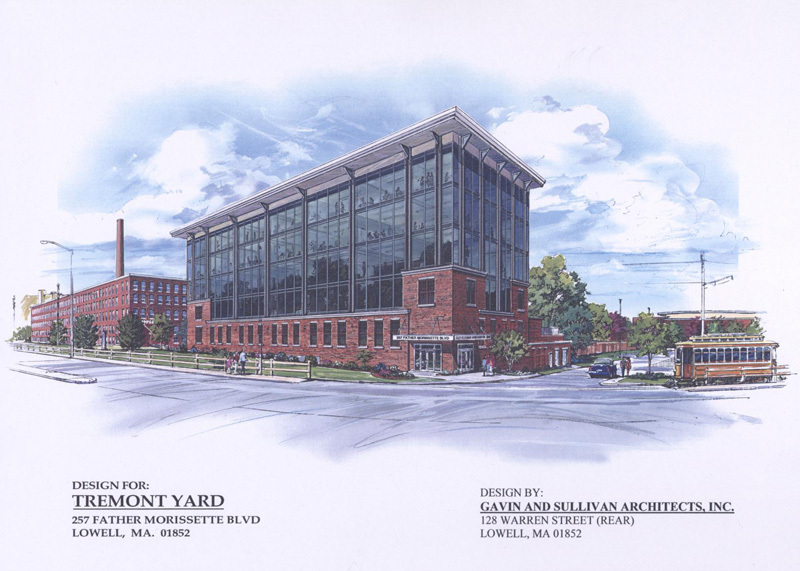 From the ruins of the former hydroelectric plant to a shining example of excellent commercial building design, the property at Tremont Yard has certainly come along way over the years. The property was once home to Tremont Mills Power House, a facility that held water wheels responsible for powering the Tremont and Suffolk Mill complexes dating back to the 1840s. This site sat vacant from the mid-1920s through 2008, but was redeveloped into the home of a new commercial office building in 2009. 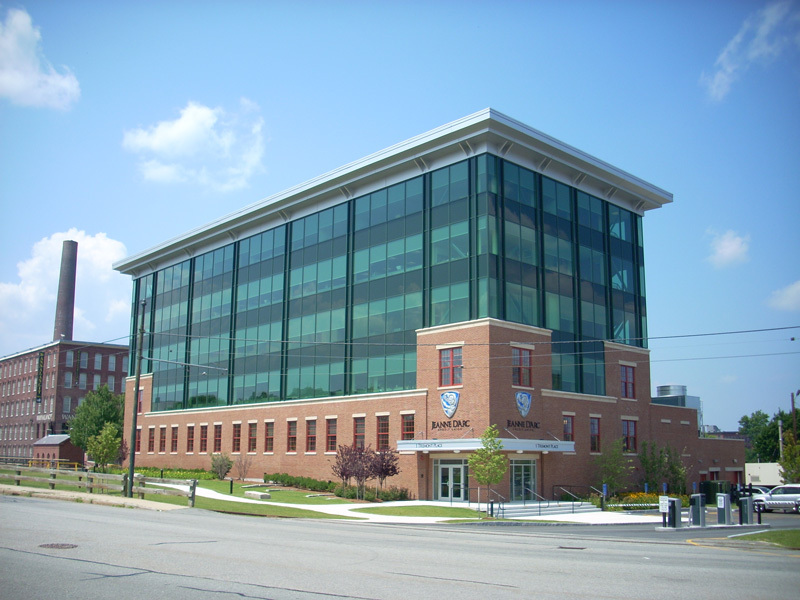 Today, the building is the new headquarters of the Jeanne d’Arc Credit Union of Lowell. 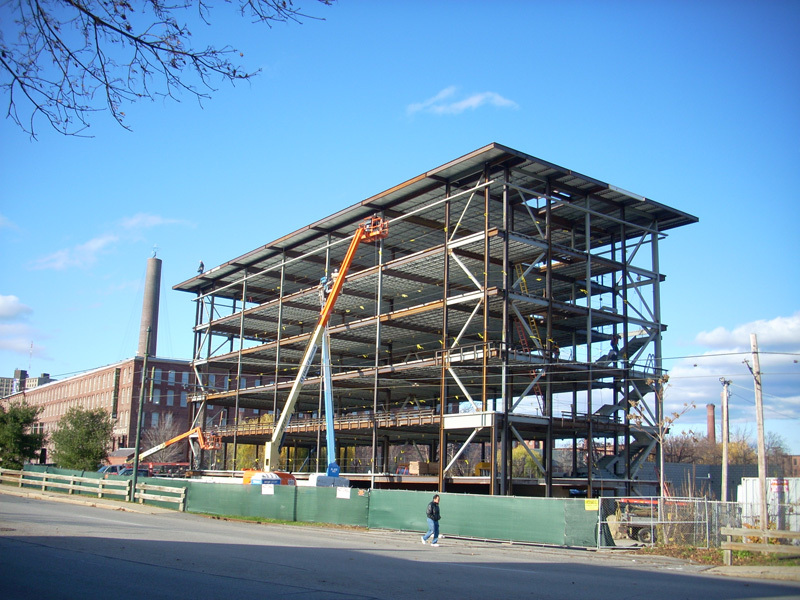 Summit Engineering provided the structural design for this new 60,000-SF, five-story office building. Existing stone and clay masonry foundation walls, pits and turbine shafts from the original mill building were considered historically significant and could not be removed or altered. 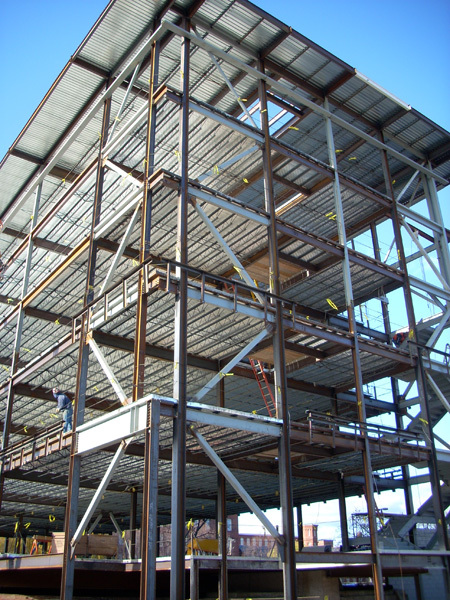 The commercial building design of the steel framed structure was required to imitate the original building loading and had to incorporate the existing foundation elements without adjustment. While challenging, this project is a true example of how we are able to blend our knowledge in historical restoration with new-aged commercial building design. Ready to speak with an engineer about your project?